Heavenly blog! : No. 736: Jan Hanvold living in adultery (sin), it is then allowed others to do the same to call himself a Christian and be accepted among the believers? No. 736: Jan Hanvold living in adultery (sin), it is then allowed others to do the same to call himself a Christian and be accepted among the believers? Jan Hanvold living in adultery (sin), it is then allowed others to do the same to call himself a Christian and be accepted among the believers? Equality before the law states. This topic we take up is the latest in a while we write about Jan Hanvold. But this is perhaps the most important, if others are allowed to live in sin when Hanvold do it? Scripture says that God is no respecter of anybody, then it must also be about to condone the sin and adultery? Or is God one who makes a difference! 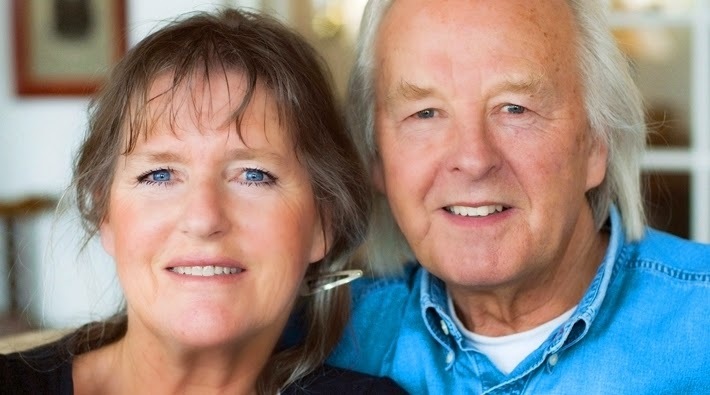 Photo of Vivian Zahl Olsen and her husband Per Haugen, who both have been married before but often used with Jan Hanvold and Vision Norway. There is a contagion effect that is like a cancer that is opened up in the congregation! Should really wished David Ostby, Emanuel Minos, Arvid Bentzen and anyone else who pops up on Vision Norway. As is the defending January Hanvold had reflected and thought about both what I have written and what I write here in this article. I have a message, and that is that when Hanvold are allowed to live as he desires and wants, and then it must apply to everyone else? Ergo, it is a free to live as a mere wish and will? Ergo, allowable Hanvold is to allow the flesh to us people are guidelines, not the word of God. 1) Hanvold "managed" not to live alone, so he had to be allowed to remarry after his divorce from Berit, his first wife and remedy? 1) God's word and prayer. 2) Spirit's guidance, strength and help. 3) Daily cleansing of thought life by reading and meditating on God's word. 5) Search back to their spouse as it has been breach, this happens only in thought life. 7) Training or a hobby where a is derived stuff. 8) Living for others, not only for their own needs. 9) Has a Sexual needs, then take the body itself of this naturally sædtømming. This is quite natural for singles, also divorced. 10) Everyone must find a way to get over their urges when they compromise God's word! 2) Hanvold are allowed to live in adultery, ergo it must also homosexuals, lesbians and everyone else be allowed the same? It is not unreasonable or illogical that if Hanvold and all others who are divorced are allowed to remarry among Christians. The same thing applies to all other types of sin? If not, what then? Scripture clearly states that everyone is allowed to marry once. A man with a lady and a lady with a man. All forms of cohabitation without the past this is a shame! Bottom line is remarriage sin, to live as gay is a sin, to live as a lesbian is a sin etc. 3) Hanvold have "God" with him, therefore he succeed? then I'm just sounding brass or a clanging cymbal. Nothing can replace a life according to God's word and will, even for Hanvold! 4) People who do not have the progress Hanvold, they only have to tie set? Of course this is a nonsensical argument. Everyone has a right to speak out, if one has a small or large church behind them, or none! We do not argue for how many people are with or against us, but by what Scripture teaches, and only that! 5) Hanvold has so many strengths, we must be indulgent with his weaknesses? This is an argument with some hold. Hanvold But transgression here is so great, that it is only repentance 180 degrees as he leaves the armor that can get him in the right position within its God. Harsh words? Yes, but there is no other one Hanvold itself that has brought him into what he is now entered, a whore compared with Inger! 6) Hanvold have an interpretation of the word of God, others another. We have to accept different opinions? 2 Pet. 3 16 About this he speaks of all the letters which he enters these questions. There is something there that is hard to understand, and the unlearned and weak distorts this, as they do also the other scriptures, and that leads to destruction for themselves. Scripture is so clear and evident here that there is no excuse! And when we know that the Christian Church has never really accepted the remarriage until after the Reformation. Then it will also quite sought both scripture and what has been practiced for almost 2000 years that remarriage is permitted. 7) Minos, Ostby, Bentzen and others to warn Hanvold, not you who are not with him? Unfortunately, these people and most others are too cowardly, evasive and have rejected biblical views on remarriage. Should Hanvold minded, be warned, it seems that it must come from without, not from within! Hanvold squeeze out anyone who disagrees with him. Where is he pinched, squeezing out other than themselves! 8) It may be that God allows Hanvold sin when he is a former drug addict and have the same responsibility as others? It is of course very wonderful to see that former addicts as addicts and alcoholics stop with rapture her. All honor to them for it if it is with God's help or the capabilities it yourself. But the word of God is not speaking about a standard for some, and a standard for others. Here we are all equal. God's word must all relate to a director or tramp! 9) Hanvold is the innocent "party", therefore he can freely live on and be a "free" man and remarry? Hanvold even said on the radio here in Oslo 107.7 that he is himself to blame for his first two adultery. It seemed therefore quite sought him who is to blame for two adultery should be able to remarry. Do not know what scripture those who defend him use? Here is the so-called due to start a new relationship completely removed. Even though the word of God speaks of an innocent and guilty parties, then one is bound as long as the other students. So this is a point to include as Hanvold have declared themselves as an adulterer. 10) The worst is that he adds a template for all others where there is a free-living in sin and still believe in Jesus and be accepted among the believers! "To hell with all those who do not accept that I am re-married!" For me this is bad for God a thousand times worse! It is with amazement that I see Hanvold and others have been called leaders and preachers in Christian Norway. But at the same time, we have the word of God warned us that in the end it will be as we see today. Therefore, it is with a mixture I write this. It is in accordance with God's word that Hanvold and peers will drop and forward, when we find so many scriptures that speak of it to be difficult times among us Christians. They will take care teachers in droves as both live and learn incorrect. Many false prophets, and shall have the form of godliness, but do not live like a true believer etc. The downhill think I'll be just steeper and steeper. Has a first open up the sin, the world and the seductive spirits. So it will go from bad to worse! What shall we do? Scripture clearly says that we should not over-focus the negative. But do not be a part of it, but warn and pray for them and ourselves, that we should be preserved and if possible, those who are astray to find repentance and salvation. Luke 21 36 Watch every season and ask to have the power to get safely from everything that will happen, and to stand before the Son of Man. 14 But put ye on the anger that you do not have to think out beforehand how you will defend yourselves. 15 For I will give you words and wisdom that none of your adversaries will be able to resist or contradict. 16 But even parents and siblings, relatives and friends will betray you and send some of you to death. 17 And ye shall be hated of all men for my name's sake. 18 But not a hair of your head shall lose. 19 Hold on, and you will win life! 28 But when these things begin to happen, then look up, and lift up your heads; for your redemption is drawing near. When this takes place today, and we will correct our heads, and count on the help, guidance and power from him that all the power and the will and ability to give us. Our future is and will remain bright and beautiful, only we endure to the end, and walk according to God's word!